Require an event planner, MC or hosts. Thrill has the solution for unique interactive customer experiences and events that will leave your clients and customers smiling. “Thrill loves event planning by design to deliver exciting corporate events fully packaged for businesses to celebrate, escape, meet off-site, conduct annual general meetings, conferences or engage people in fun to competitive team building activities”. When you are planning your next product launch, a special business conference, networking or business holiday party escape. 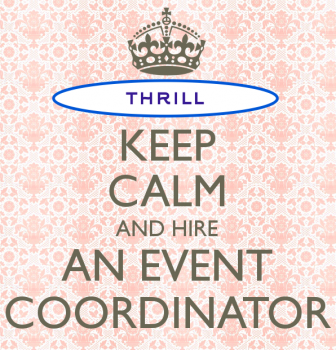 Thrill Event Planners are the professional corporate specialist to turn to. Staff will meet with you in person to discuss concepts, accommodation, transport, transfers, conference materials, speakers, hosts, mcee’s, locations, activities, agendas, formalities, event design and the management of cost effective solutions. Themeing, styling, decorations, guests, key note speakers are all taken care of by an appointed specialist. Our solutions focused technique allows us to select the best in the industry that we know are proven and reliable delivering the event services to an excellent standard consistently. 16 years of not missing an event is an exceptional record. We not only provide great big events. We supply terrific gigs that encourage and allow people to interact, engage and be immersed in thoughtful participation. To enable clients to fully engage with their audiences through the creation, design and production of memorable live events. If you are already an ACCOR or IHG guest member then Thrill will provide a 5% discount on our Professional Conference Organisation PCO and Event services. Thrill is selective in the client groups and businesses we work with. Contact the events managers and team in Sydney to start creating a new chapter in your event planning process. Call 02 9630 2222 Why, Where and When communication matters.